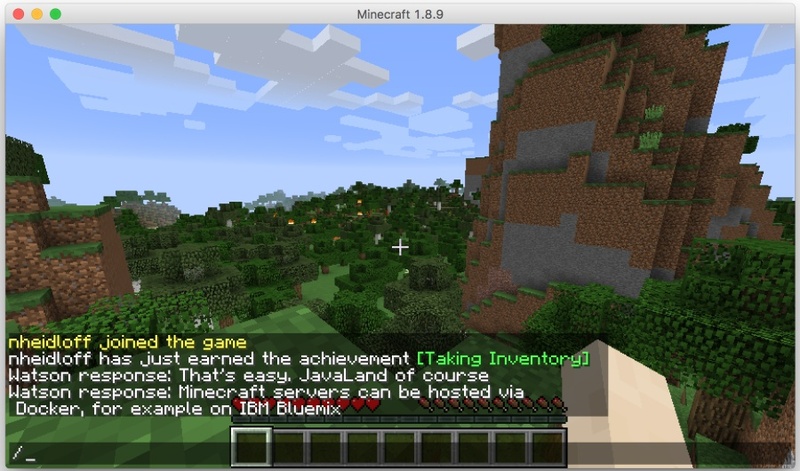 Niklas Heidloff covers integrationg Watson dialog into Minecraft on Bluemix in a neat use case. In an earlier article, I wrote about how to use the Watson Personality Insights service in Minecraft. 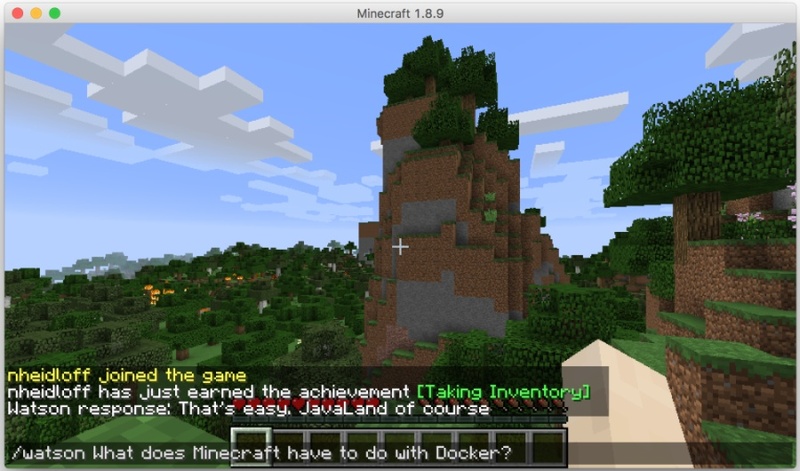 The sample was based on the work from my colleagues Kyle Brown, Joseph Kozhaya, and Srinivas Cheemalapati who had documented how to run Minecraft servers as Docker containers on Bluemix. Recently they updated their documentation and added how to use the Watson Dialog service. For my Docker session at JavaLand this week, I thought it would be fun to kick off the session with a Minecraft sample: Rapid Application Development in the Cloud and On-Premises with Docker (Mittwoch, 09.03.2016 12:00 – 12:40). Here is the deck for the session. It includes many screenshots, but in the session, I’ll demo all of this live.